You are here: Home > Blog > Commercial > Temporary cable connection on gen-sets. Connecting at the gen-set breaker: Risky! Perhaps the most common location for connecting load banks to do testing is at the Gen-Set output breaker. 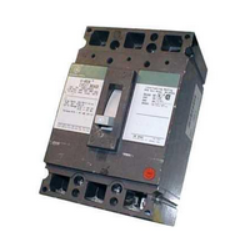 Just loosen the lugs, remove the building load cabling, and attach your temporary cables directly to the breaker. Start the generator, close the breaker, and you’re ready for the test! Right? But wait, let’s consider the risks when choosing this method. Connecting to the generator breaker usually requires disconnecting your building cabling. This creates risk to your loads should a power outage event occur. 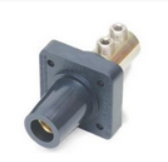 And especially in Life Safety or Mission Critical applications, choosing this kind of connection creates significant liability and risk to life and property. A generator breaker which has an additional set of lugs can be used to connect the temporary cable without disconnecting the building load. For this configuration, a load-shed feature on your load bank should be used to detect a power transfer to the building loads. Another significant risk of using the gen-set breaker for connecting your load bank: lug maintenance and repair. Over time, lugs can wear out and require replacement, usually at the most inopportune time; during a load bank test! And when this happens, there’s down time and additional expense. Labor, parts, rentals, electricians, more time and more expense … not a good situation. There’s got to be a better way! For smaller systems, consider some panel mounted camlock receivers. These can work well if the gen-set breaker has a spare set of lugs. Of course, the camlocks need to be in a protected cabinet, preventing casual contact and potential electrocution. And load-shed features are still required, see NFPA 110, Section 8.4. 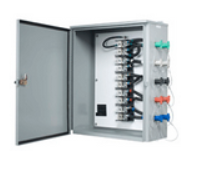 Other more sophisticated connection systems are available, including additional circuit breakers and connection boxes that can serve as load bank as well as temporary generator connection systems (see note in NFPA110, A.7.13.4.3). Site requirements will vary. Taking the time to review your options and make an informed buying decision can help ensure your emergency system works when you needs it. Adding a second generator breaker for load bank testing on new gen-sets is another cost effective solution on smaller systems. 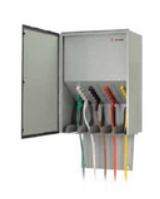 Remote connection cabinets may also include circuit breakers, kirk keys, and load shed connection terminals. Phase rotation devices and remote start terminals may also be required for temporary generator configured cabinets. One connection box to do both load bank connection and temporary gen-set connections is a great product designed for both. Educating yourself on your options is an important part of your decision. Many convenient and cost effective solutions are available. Even permanently mounted load banks is an option. At Austin Generator Service, we can help you find a solution that’s right for you and your generator. Call us today for more information.